powerchargerwood are the ideal product for promotion. It is one of our most sold promotional products. The deluxe pen has the ideal look for at the office or at home. The powerchargerwood that is chosen in most cases can be selected via our website. 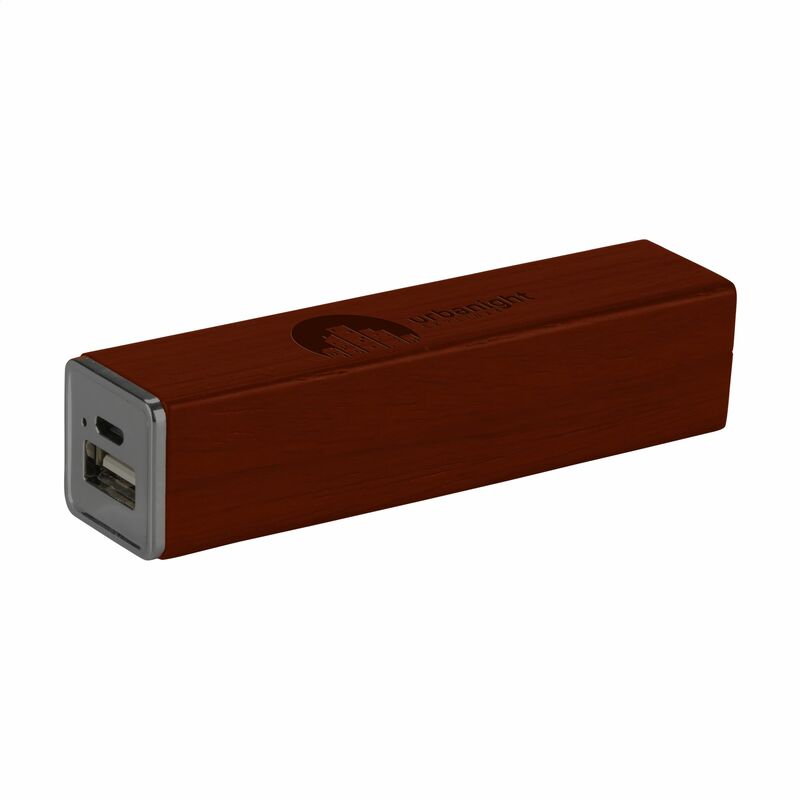 Compact powerbank in a chic wooden casing. Choice of: walnut (dark), cherries (reddish brown) and Maple (light brown). With built-in lithium battery (2000mAh/3.7V). Input: 5V-500mA. Output: 5V-1000mA. The PowerCharger can be charged by USB cable. Suitable for charging of the most popular mobile devices (including smartphones, music players and tablets). 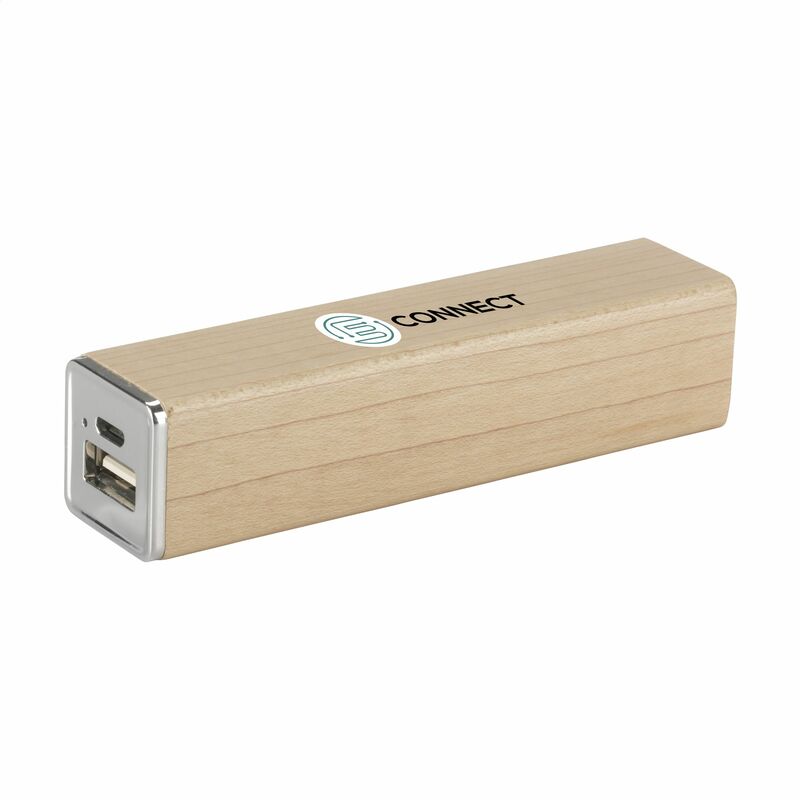 The PowerCharger 2000 Wood meets the European directives and available with a USB/micro-USB charging cable, A-quality lithium battery and instructions in more languages. When you divide the power of the PowerCharger (mAh) by the capacity of the battery in your mobile device (mAh), you know approximately how many percent or how often you can charge your mobile device. Each piece in a box.